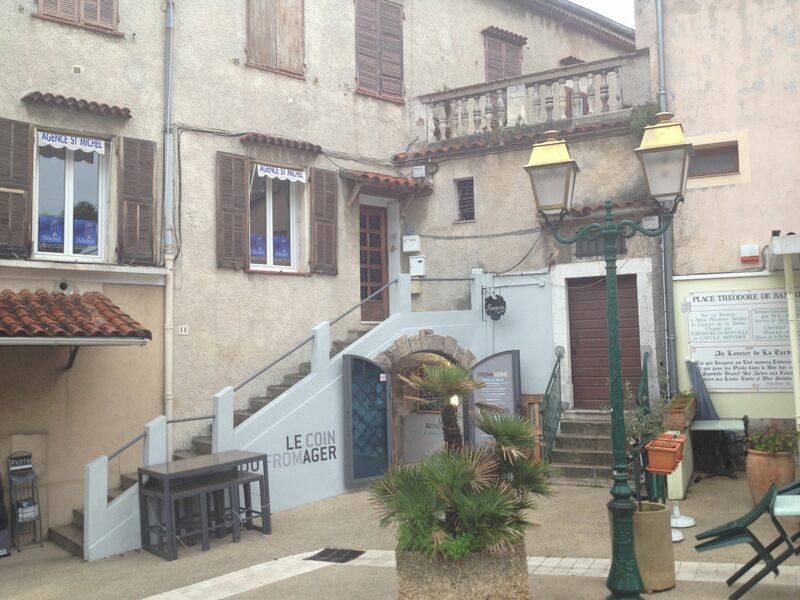 We are having a rainy and cold week here on the Riviera, making for a dreary January! 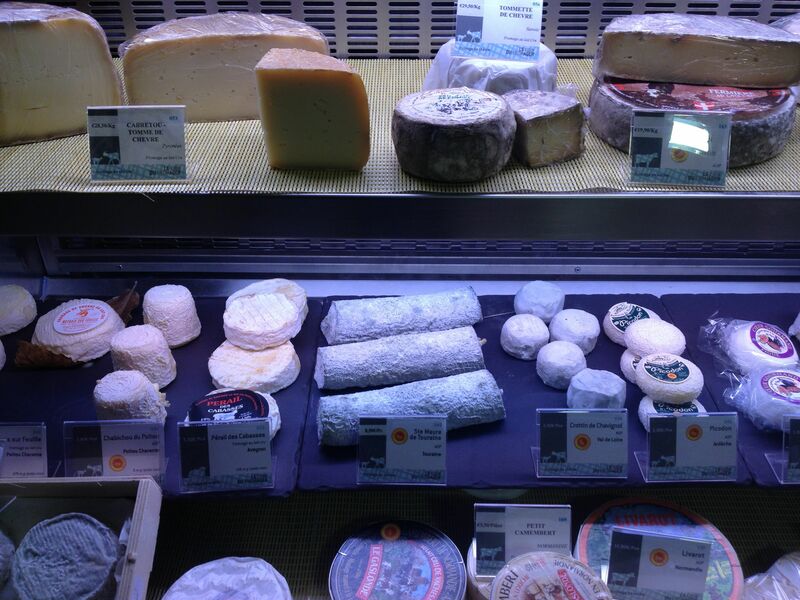 What better way to cheer things up than with some French cheese! Sego missed out on her favourite dish this weekend, when Joshua and I headed up to La Turbie to visit a new gourmet cheese venue that has opened last summer (right around the corner from our buddy Belloubusto). What we found was not only a shop, but also a handful of cozy tables nestled inside the vaulted stone ceilings of a former basement or “cave”. We ended up spending over two hours over lunch whilst chatting with our charming hosts. 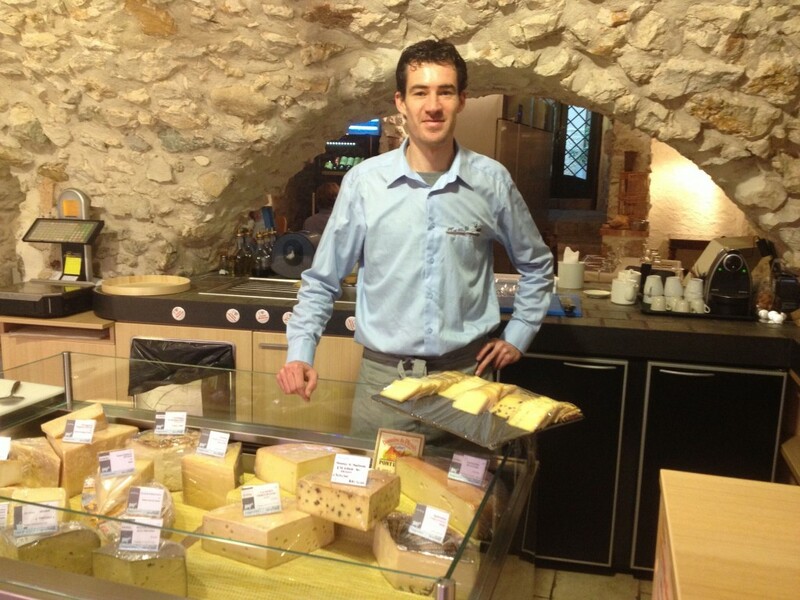 Three epicureans, Michel (pictured below), Laurent and Robert (yup they’re French, but raised in Monaco) set out to follow their passion for fine food and wine and opened up a specialty cheese shop. They have a tight, careful selection of 80-100 cheeses, including locally sourced goat cheese, and a stellar selection of the classics from across France (Brie de Meaux, Cantal, …) and also a few international beauties (Cheddar, Stilton and Dutch cheeses). Most of the french cheeses are classified AOC (French certification of provenance) providing them with a pedigree of quality. They also prepare their own cheeses, such as, get ready for this, Camembert soaked in cider and Coulommiers with local truffles (also on sale separately). We tasted some of the Camambert which was pure heaven, and I bought some of the Coulommiers for this week. In addition to cheese, these boys have curated a surprising selection of reasonably priced wines from independent winemakers across France. We were tempted by the 2011 Domaine des Clément, a perfect red from Costières de Nimes. I left with two bottles for a steal, under ten euros each. Their location in La Turbie, which is a sort of countryside outpost for Monegasques on the weekend, has allowed them to offer reasonable prices for quality products. 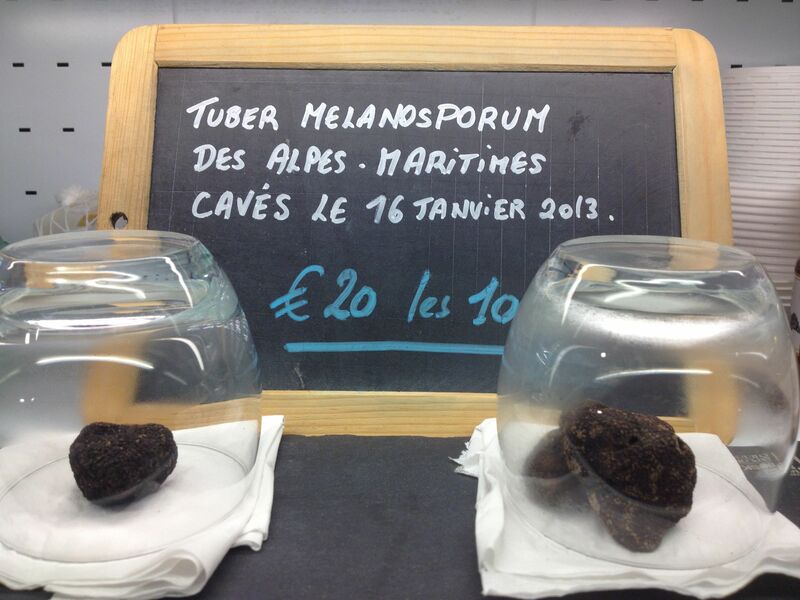 A refreshing change from the astronomically high prices for gourmet products so pervasive on the French Riviera. 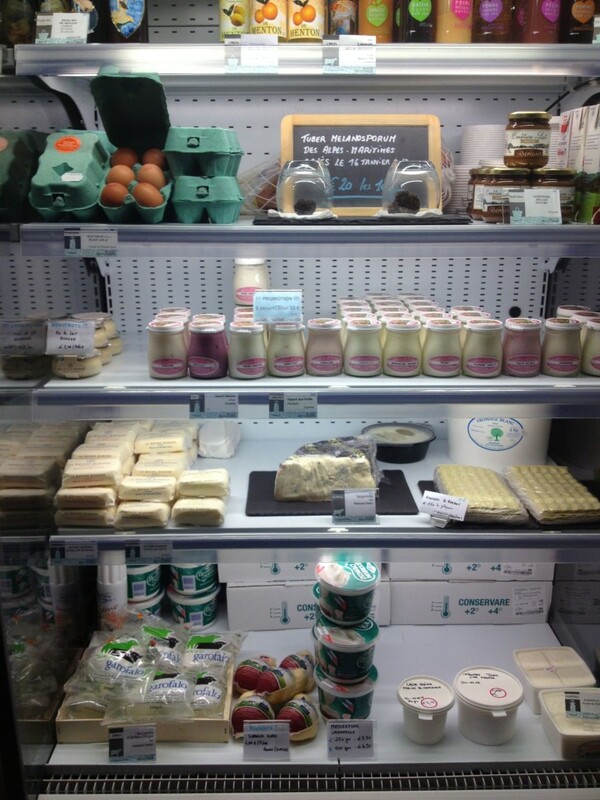 They also supply the typical dairy products of a gourmet French Cremerie, yoghurts from Touraine (six for ten euros! ), fresh eggs and unique hand-churned butter from Le Beurre Bordier. 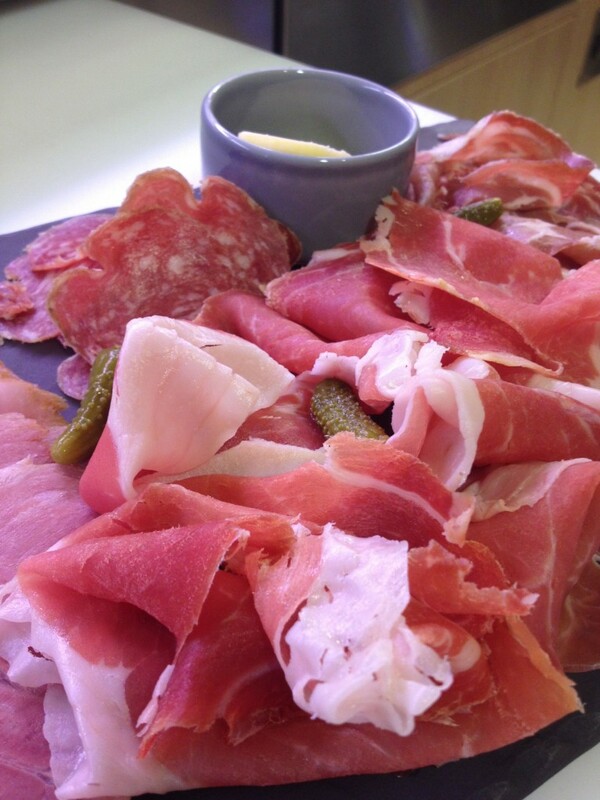 The charcuterie was amazing, not surprisingly since Michel worked for years finding the best Italian meats and cold cuts for a distributor in Monaco. The speck, prosciutto and my favourite the smoked cotta were flawless. The diners next to us were feasting on a raclette, so this place definitely merits a return visit this winter for a taste of raclette or fondue which are currently house specials.